When you're invested in making sure your Harley-Davidson® stays in great working order for years to come, you need knowledge and skill you can count on. Our highly trained technicians are dedicated to maintaining and servicing your Harley-Davidson® so you can get the most out of your purchase. Here at Harley-Davidson® of Atlanta we are powersports enthusiasts, and we know that getting out on the road and into the outdoors is your priority. We have the equipment and experience to get your Harley-Davidson® in impeccable shape, whether you’re riding for pleasure, racing around the track, or tearing it up on the open road. Give us a call and we'll get you in and out of the shop in an efficient and timely manner, so you can get back to your personal freedom. Harley-Davidson® of Atlanta is proud to provide quality service to the Atlanta area and all surrounding areas. We can help you keep your Harley-Davidson® vehicle in pristine condition! If you have any questions or concerns about any/your Harley-Davidson® feel free to call us at and we’ll be happy to help you over the phone or assist you in making an appointment. Come talk to us about how to best maintain your investment and learn more about our available services! Call our Service Department today for details about our Harley-Davidson® pick-up and delivery service provided to customers. It's actually called a Dynometer and when combined with Exhaust Gas Analyzers and other computers, they can analyze your Harley-Davidson® bike's performance and help diagnose potential problems. 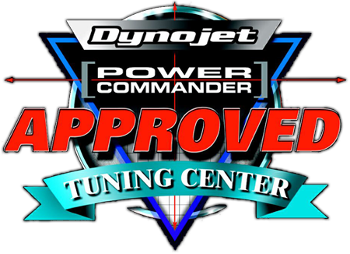 Why do I need a Dyno Test? Eventually every Harley® bike owner wants a little more horsepower or torque out of their engine. Our technicians will begin by performing a test to determine how many horsepower and how much torque your bike currently has. At that time, we will also determine if your bike is running "lean" (not getting the proper amount of gasoline) or "rich" (getting too much gasoline). After the work is performed, we will conduct another test to determine how your bike is performing. Once this baseline is established, we will use our full array of computers to "dial" your bike in so that it is performing at its peak efficiency. Do you do your own maintenance or perform the recommended 30 checks and service points? At Harley-Davidson® of Atlanta, we do each-and-every check every time we service your motorcycle. Change engine oil & oil filter. Inspect air cleaner and service as required. Clean tappet oil screen (Evolution®). Change primary chaincase lubricant and clean magnetic drain plug. Change transmission lubricant and clean magnetic drain plug. Check and adjust chains and/or belts. Grease footshift and brake lever bearings and speedometer cable (if applicable). Check rear brake pedal adjustment. Inspect brake pads and discs for wear. Lubricate the front brake lever, throttle cables, clutch cable and clutch lever. Check operation of throttle and enrichener controls. Check wheel spoke tightness (if applicable). Check front fork bearing adjustment. Check operation of all electrical equipment and switches. Check cruise control disengage switch & Other components (if applicable). Check condition of rear shock absorbers. Check air suspension for operation, correct pressure and leaks (if applicable). Check tightness of all fasteners (except head bolts). Check ignition timing and vacuum hose (if applicable). Check engine low and fast idle adjustment. Inspect and service wheel bearings (if applicable). Change front fork oil (if applicable).